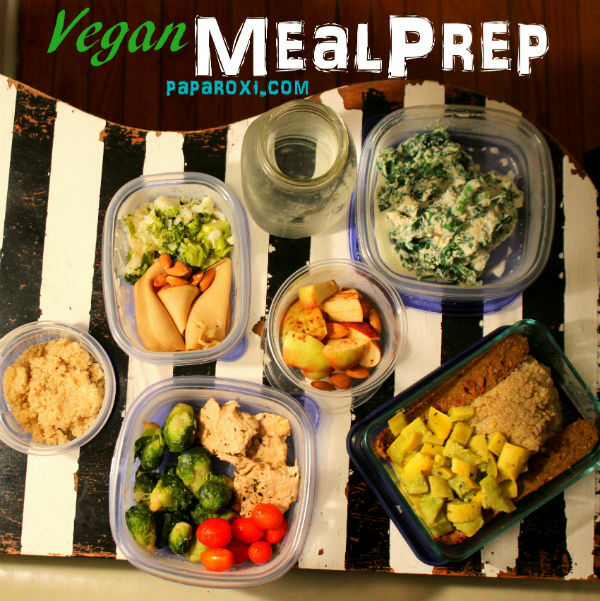 “Say it isn’t so”….Yes my friends meal prep for veggie lovers is real and it happened this week. In an attempt to really take my fitness to the next level and get the results I have always dreamed of I have embarked on a mission to become my own fitness idol. I have started by being really disciplined about what I was eating. Your probably thinking “She eats pretty healthy already” this is true, however I wanted to kick I up a notch. I found a great fitness and eating plan in the latest issue of Muscle Fitness Hers and I embarked on my journey. However I pumped the breaks when I realized that all the food in the eating plan was meat or dairy. So I came up with a veggie friendly version of the plan. Granted some of the protein substitutes are processed which isn’t exactly clean but last week I used lentils and beans as my vegan substitute; this week I was just really short on time. I consume something 6 times per day every 2 to 3 hours. Well I hope I inspire you to meal prep too! Remember you can sub out the veggie substitutes for fresh beans or lentils; I may do the same next week when I have more time. Also it is really important you drink at least a gallon a day to flush your system and to get all the nutrients where they need to go. Happy Meal Prepping!